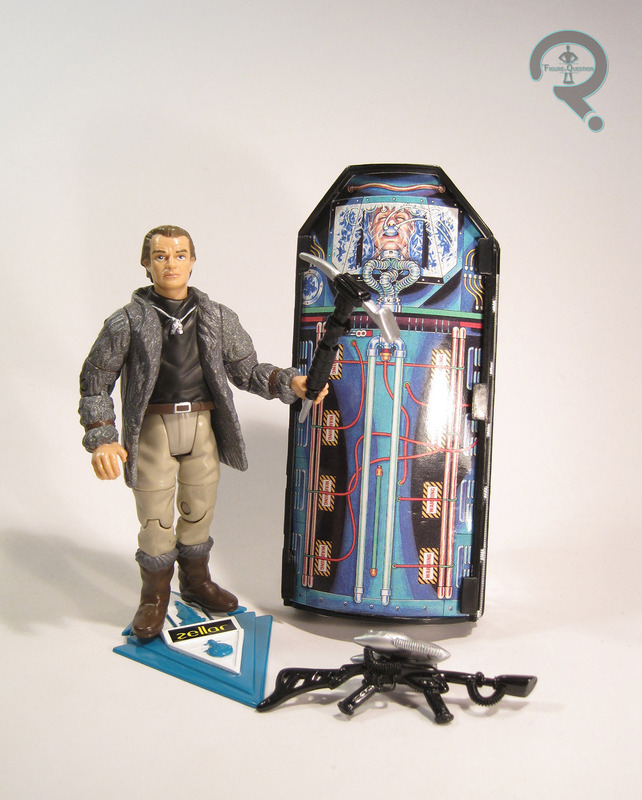 Dr. Z was released in 1993 as part of the first and only series of Playmates’ SeaQuest DSV line. He’s based on his early appearance from “Games,” when he’s first picked up by the SeaQuest and is masquerading as a prison warden. He probably spends a greater portion of the episode wearing a borrowed SeaQuest science staff uniform, but that might have proved slightly confusing in the toyline, since it would have made him look like an actual member of the crew. The figure stands about 4 1/2 inches tall (putting him in the same scale as Playmates’ Trek line) and has 14 points of articulation. While the Trek figures all got saddled with those wonky v-hips, the SeaQuest figures actually got pretty traditional t-hips, and also got thigh swivels too. Odd that the unproven show got the better treatment. The sculpt is pretty similar to the Trek stuff in style, which is to say it’s not super ultra realistic, but it’s still a halfway decent recreation of Zellar’s look from the show. The head sports a passable likeness of Zellar’s actor Alan Scarfe, and the general proportions are actually a little better than the Trek stuff I’ve looked at. The standout bit of this figure is definitely the fur coat, which is surprisingly well detailed for a figure of this era and scale. Zellar’s paintwork is pretty solid; it’s not the most exciting work, but what’s there is nice and clean, and the once again the jacket stands out with some detail work to keep it from being too drab. Zellar was packed with a number of cool accessories, including a pick axe, a display stand, and a ….weird gun thing. The coolest piece is the T5-6000 Cryo-Chamber, originally meant to carry Zellar, but in actuality carrying the prison warden he replaced. It’s just a simple plastic shell with a cardboard illustration on top, but I really like it. I picked up Zellar from Yesterday’s Fun this past summer, as he was one of the two SeaQuest figures I didn’t yet have. There’s no denying he’s a well done figure, but he’s also one of the most frustrating figures from the line. SeaQuest was hardly defined by its antagonists, so the fact that we got two of them in place of the three missing members of the Season 1 crew, is really annoying. 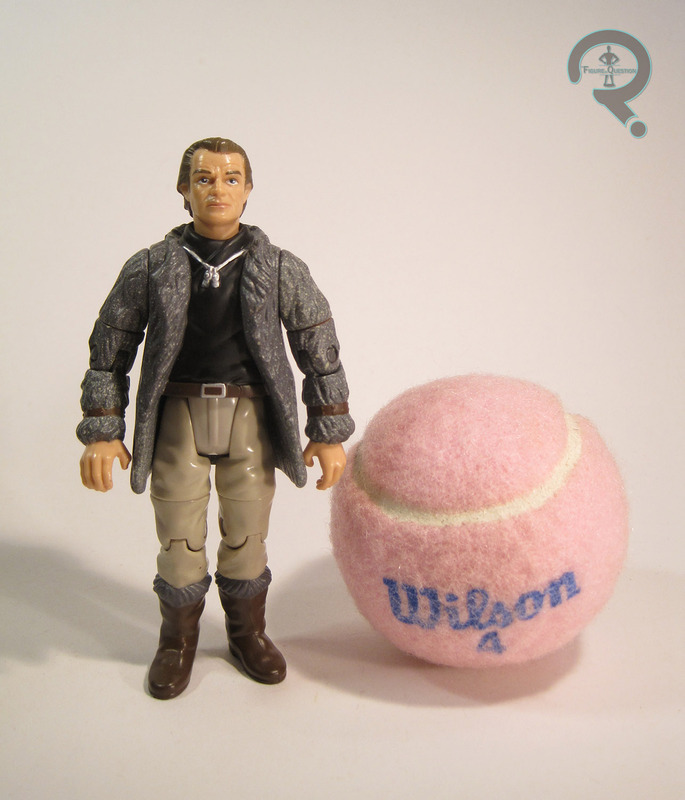 “Games” is certainly a memorable episode, and Zellar’s a compelling villain, but the success of the episode hinges more on its focus on Dr. Kristin Westphalen, who was absent from the toyline (interestingly enough, she was the only of the three unreleased crew members to get a prototype, but was left unreleased for whatever reason). Zellar’s presence in the line seems to have come at the expense of the character that would give him an actual reason to be in the line at all, which just feels rather backwards.